Home > Educational Materials > Chemistry Educational Materials > Applied Chemistry Learning Activities > Ward's® AP Chemistry Investigation 11: Kinetics: What is the Rate Law? Ward's® AP Chemistry Investigation 11: Kinetics: What is the Rate Law? 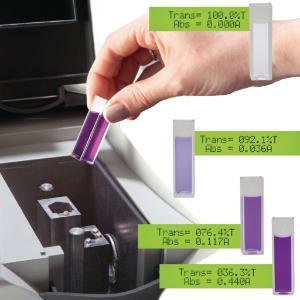 In this lab, a spectrophotometric analysis will be done to determine the rate law for the reaction between crystal violet and sodium hydroxide. Students will use a spectrophotometer to produce a Beer's law calibration curve and collect absorbance data over time. The data gathered in this study will be plotted and will ultimately be used to determine the order of reaction with respect to crystal violet and sodium hydroxide. Includes crystal violet, and sodium hydroxide. Requires spectrophotometer or colorimeter, and cuvettes, available separately. Required but Not Included: DI Water, Spectrophotometer or Colorimeter, Graduated Pipettes, Cuvettes, Pipette Bulbs, Volumetric Flasks, Gloves, Safety Goggles, Lab Aprons.